A long article on Benjamin Disraeli in the New Yorker by Adam Gopnik, loosely linked to the two most recent biographies: Christopher Hibbert’s “Disraeli: The Victorian Dandy Who Became Prime Minister” and William Kuhn’s “The Politics of Pleasure: A Portrait of Benjamin Disraeli”. The article concentrates on Disraeli as adventurer who has lived his own dream and links him in various ways to modern politics. Specifically, there is a discussion as to whether he is the progenitor of Anglo-American conservatism of the present. Mr Gopnik comes to the conclusion that he is not but his analysis of what the latter consists of is so inadequate as to make that conclusion questionable. Does he really understand what happened in Britain in the eighties and the nineties? Up to a point Lord Copper, as they said in Evelyn Waugh’s “Scoop”. Nor is his description of the parliament Disraeli entered in 1837 as “at once fossil-filled and fluid, in the manner of a tar pit” particularly helpful. Is that really what British politics was like five years after the 1832 Reform Act? Anyone who really does believe that the Duke of Wellington was “brutally authoritarian, High Church Royalist, and reactionary” has not bothered to try to understand that great man. Still, the piece is worth reading even if one ends up disagreeing with a good deal of it. Nicolson is generally acknowledged to be one of three members of the House (Churchill and Leo Amery being the other two) who opposed consistently the Munich Agreement and refused to cheer when the Prime Minister reported back on it. According to Derek Drinkwater who published in 2005 a book, entitled “Sir Harold Nicolson and International Relations – The Practitioner as Theorist”, which, in many people’s opinion, lays too much emphasis on HN’s political thinking, much of his argument against the Munich agreement was based on the old-fashioned one that it destroyed the balance of power in Europe. In actual fact, he felt an almost personal responsibility for Czechoslovakia and its existence, having been on the committee of the Paris Peace Conference that prepared the clauses of the Treaty of St Germain, which defined the frontiers of Czechoslovakia. “How difficult it is to decide! Vita takes the line that the Sudeten Germans are justified in claiming self-determination and the Czechs would be happier without them in any case. But if we give way on this, then the Hungarians and the Poles will also claim self-determination, and the result will be that Czechoslovakia will cease to exist as an independent State. By and large Vita Sackville-West was not interested in politics and could not be bothered to work her way through the various arguments often reacting emotionally to events. In this case, however, she managed to articulate the argument that was used by many people and quietly approved of by many more. The next speaker meeting of the Conservative History Group will be held on Tuesday 18 July at 6.30pm in the Boothroyd Room of the House of Commons. 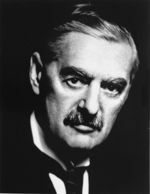 The subject will be "The Reputation of Neville Chamberlain". Speakers are Robert Self and Professor John Charmley. If you'd like to attend please email info@conservativehistory.org.uk to register. If you're not already a member you will be expected to join on the evening! This posting may be seen as perhaps being somewhat irrelevant to Conservative history but it covers a subject that is so important that Tory Historian took a unilateral decision on posting it. Today is the 65th anniversary of what turned out to be the crucial event of the Second World War – the German invasion of the Soviet Union, carried out despite the vows of eternal friendship of the 1939 Molotov – Ribbentrop Pact. It was the start of that monumental battle between the two most monstrous regimes of European history. The one person who recognized fully the importance of the invasion was the Prime Minister, Winston Churchill, who displayed more relief at the turn of events in the immediate aftermath than he was to do even after America’s entry into the war. Curiously enough, Stalin, who had never trusted anybody in his political career (and probably not before that, either) seems to have trusted Hitler. There are numerous accounts of his refusal to believe the news of the Nazi attack as it was being brought to him. He had, previously, refused to believe warnings sent to him by the British government and his own agents in the West that Hitler was planning an attack and probably in June. There are various accounts of what happened immediately in the Soviet government and the top echelons of the party but, it seems, that panic set in and there was an immediate decampment from Moscow. Stalin’s greatest fear, shown in his refusal to set up a home guard as the capital itself became endangered during the autumn, was that people might turn against him. This was not completely wrong. 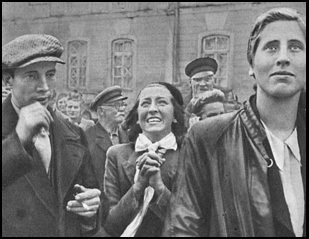 The people of Russia and other states of the Soviet Union are no less patriotic than anyone else but they had suffered considerably more from their own government than others. The propaganda picture of the people of Riga welcoming German invaders does not tell a complete lie. The German troops were welcomed at first in the Baltic states, in Byelorussia (now Belarus), in the Ukraine and even Russia itself. We have to remember that it is not accurate to say that Germany invaded Russia in June 1941. They did not get to Russia itself for a number of weeks, despite the fact that the troops rolled forward unchecked, the air force had been destroyed and the trains that ought to have been bringing troops to the west were fully occupied carrying prisoners from the newly conquered countries to the east. When the German troops crossed the border they were crossing from western to eastern Poland, both of which had been devastated by the two separate invaders. They then moved into the Baltic states who had lost around a third of their population into the Soviet gulags, moved on the Byelorussia and the Ukraine, both of which had suffered unspeakably from collectivization and the purges of the late thirties. The Germans were seen as liberators and their drive to round up and murder the Jewish population was not always unpopular. Though many people, as in other countries, tried to help their Jewish neighbours and friends, many others saw the destruction of the Jewry as a just punishment for the fact that the Communist power, as they thought, had been imposed largely by Jews. Alas, there are too many people in that part of the world who still think that way. 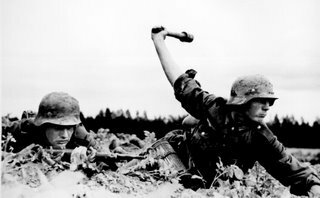 While many in the higher echelons of the German army felt that they should capitalize on these feelings, disband the collective farms and install autonomous local governments, the Nazi ideology prevailed. The Slavs were also described as untermensch and treated accordingly. The horrors of the Nazi occupation of large chunks of the Soviet Union have been described by many. Stalin’s own reaction was interesting. He first broadcast to the people on July 4. My mother, who was a teenager in Moscow at the time, has told me that his appeal to “brothers and sisters” caused panic. Things were far worse, the Russians reasoned, than anyone had told them if the old tyrant saw them as his brothers and sisters. This is not the place to describe the subsequent developments of the war on the eastern front but a few aspects might be recalled, as we are often told that the EU is a direct and necessary reaction to the evil nationalism of, well, somebody called the Nazis. We need to remember Stalin’s refusal to sign the Geneva convention and refusing to see Soviet PoWs as nothing more than traitors. All offers to help them by the Red Cross and the British government were refused. The severe maltreatment by the Germans of the Soviet prisoners cannot be excused but neither can Stalin’s own refusal to help. We need to remember the lines of Smersh (Smert’ Shpionam – Death to Spies) machine gunners who stood behind the Soviet troops, mowing down those who tried to retreat from the German onslaught. And we must recall that it was Stalin’s appeal to pure patriotism that made the Russians and many others fight on against all odds and through unimaginable losses until the victory of 1945. We must also recall the nationalism of many other countries who fought the Nazis and its suppression by the Soviet “liberators”. The story of the doomed Warsaw uprising is just one of several one could recite. Another 40 years elapsed before the second tyranny was overthrown. The next issue of the Conservative History Journal will be out in just a couple of weeks. Almost all the material has now come in and the editor is busy doing the final bits of editing as well as looking up illustrations. So, for all those folks who are starved of intellectual entertainment: help is on its way. 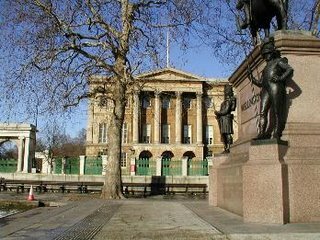 Yesterday, as all our readers know without doubt, was Waterloo Day and time for Tory Historian’s annual pilgrimage to Apsley House, where a great deal of jollification seemed to be going on. 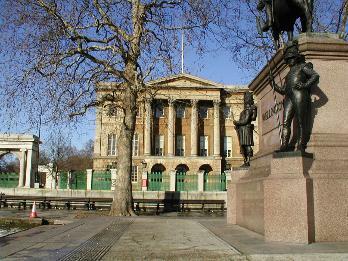 Firstly, there were guards in appropriate uniforms; the Battle of Waterloo had been laid out on a large table in the Waterloo Gallery and enthusiastic children were helping no less enthusiastic adult experts to put away the model soldiers; there were also guided tours with good accounts of the battle and the history of the house, all listened to with rapt attention by other children and, naturally enough, their parents. All of which makes me go off on that well-worn tangent: the teaching of history. For once, I’d like to concentrate not on the disgraceful lack of teaching in schools but on the assumption made by too many writers and organizers of events that the only way children’s interest can be kept is by jokes, hectic entertainment and as little information as possible. Some museums, I am sorry to say, have taken that view recently as well – entertainment rather than education. But all evidence shows that interestingly presented historical information can capture and usually keep children’s attention. Why should they not find the Battle of Waterloo or the Napoleonic Wars in general interesting? The novels based on those wars sell in their millions. The reality is considerably more exciting. Last year, when the anniversary was slightly more round that this year I became involved in an argument with a fan of the Emperor from the Continent. His argument was that, writing from a British point of view, I naturally assumed that the man’s defeat was a good thing for Europe and for freedom. But Britain was fighting not just for her existence as a country but also from a political and legal system that, despite the various problems, was more advanced than any of the Continental ones. Even so, as Andrew Roberts points out in his “Napoleon and Wellington”, there were politicians and writers who, despite Napoleon’s growing despotism continued to support him against their own government, which happened to be of another party. Shades of more modern political and military debates there. On the Continent, my correspondent maintained, the situation was different. With all his faults Napoleon was bringing some of the still untarnished ideas of the French Revolution with him – enlightenment, freedom of religion, destruction of feudalism. His defeat reversed all those processes, at least temporarily and returned power to feudal overlords. What of the national wars of liberation, I asked, fought with increasing ferocity in several parts of Europe? That, too, in his opinion, was led by the local aristocracy who saw their power slipping away. As they used to say in exam papers: discuss. 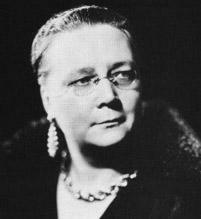 The fact that today is the birthday of one of the best-known detective story writers, Dorothy L. Sayers (1893 – 1957), gives me the chance to make a little detour in conservative history, not entirely unexpectedly, in the direction of that literary genre. I have already expressed the view that the classic detective story is a peculiarly conservative form of literature, whatever the political views of the author (Julian Symonds, for instance, was one of the plethora of left-wing men of letters) and whatever the particular point of view expressed in the novel. A detective story depends on the existence of a society that understands certain basic rules. In fact, everybody must understand and more or less agree on those rules, including the criminal. And the most important of those is that human life is not to be taken by another human being. That is a crime against nature as well as against society. The natural order of things can be restored only by the apprehension and punishment (in some form or other) of the criminal. Dorothy L. Sayers is not, as it happens one of my favourite detective story writers. She was too verbose, too snobbish and there was more than a trace of anti-semitism in almost all her novels. There were many other aspects to her literary work – her religious as well as literary essays, a religious play for the BBC and, of course, her translation of Dante. Still, she is mostly known as the writer of the Lord Peter Wimsey books (and a few stories with Montague Egg). Interestingly enough, the book that implicitly explores a conservative view of the world is one that does not have a murder in it, and that is “Gaudy Night”. A tale of various ill deeds in an Oxford College, modelled on Somerville, it deals with subjects such as whether women should pursue careers or devote their lives to families; and whether personal relationships are of greater importance than the truth in academic pursuit. There are many problems with the book, not least the fact that it is too long. But it does provide a vision of conservatism that is almost political: balance between the various factors. Balance between rationality and imagination, between the need to pursue career and the need to give to one’s family and, above all, balance between devotion to impersonal truth and devotion to individual human beings. It wasn’t all that long ago but seems to have been forgotten in the rush to declare the Conservative Party of the past the nasty party and its members, people who were barely seen to be human by the rest of the population. Really? How did that nasty, much-hated party of non-human aliens manage to win four elections, producing at least one landslide in 1983? 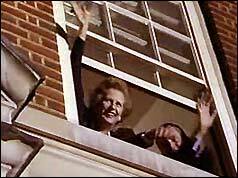 On June 9, the party led by Margaret Thatcher, took 397 seats to Labour’s 209 with the SDP Liberal Alliance managing 23. Michael Foot, presumably not wearing his famous donkey jacket, called the result a tragedy for the country. Well he would say that, wouldn’t he? A sign of this blog's success is the fact that our readers are offering their own articles for posting, in the hopes that further discussion will be generated. This one is by Tim Roll-Pickering, who has his own blog on matters political. The Liberal Party was founded in 1859. Labour in 1900. The Liberal Democrats in 1988. Or looking further afield, the US Republicans in 1854, the Irish Fine Gael in 1933 and the Australian Liberal Party in 1945. But what year was the Conservative Party founded? And is it truly "the oldest political party in the world"?A variety of dates are on offer, but for the purpose of this piece the biggest question is just how far today's Conservatives are the old Tory Party continued? (One could also ask if there was a single Tory party between the 1670s and the 1830s, encompassing all of Harley and Bolingbroke, Bute, North and Pitt the Younger. Fortunately for our purposes this does not cause a problem when comparing with the dates for the US Democrats.) The Pittite Tories dominated British politics from the 1780s until the 1830s, but from 1827 onwards they fell apart under the leadership of Canning, Goderich and Wellington. In the 1830s Peel sought to build the new force of Conservatism on a wider basis than in previous years - but was it merely the Tory Party by another name or a new party that took the place of the old? With no formal constitution there is nothing one can look to for a simple resolution. The continuing use of the term "Tory" as a shorthand or abuse for Conservatives creates the impression of the two being one and the same, even when members in later generations felt very sure of the difference between the two words. Was this a new party? If so then it is to the early 1830s that the Conservatives' foundation can be dated. 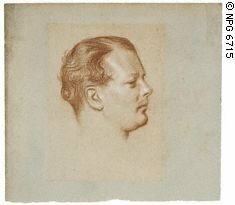 However, dating the formation of the Party at any point after the accession of William IV removes the claim that it is the oldest in the world.The US Democrats also have a claim here. Their foundation date is equally confused by their relationship to earlier parties. Today they cite 1792 as their foundation date, claiming to be a direct continuation of the Jeffersonian Republican Party. Others have argued that they were founded in the 1820s when the original Republican Party fragmented. 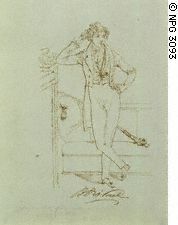 Since all this falls between the 1783 and 1830s dates for the Pittite Tory Party, this is less of an issue in this dispute. What remains is the question of whether or not Peel's Conservatives were the continuation of the Pittite Tories and what date can be cited for the party's foundation. And there is one other matter that is sometimes overlooked. The foundation of the Liberal Democrats is invariably dated to 1988 due to the merger of the Liberals and Social Democrats. What about the 1912 merger of the Conservatives and Liberal Unionists to form the "Conservative & Unionist Party"? Can one make a consistent case to accept the former and ignore the latter? Alderman Mrs Sally Ward was for one term Member of Parliament for Cannock. As a farmer’s wife, she spoke regularly in debated on agriculture and became known as “The Farmer’s Wife MP”. She attempted to return to the House after the Second World War, but was unsuccessful in both the 1950 and 1951 General Elections. Thereafter she contented herself with service on the Staffordshire County Council and was elected to an Aldermanic seat. Small in stature she was a lively personality and a forceful platform speaker. She played an active part in the politics of the Walsall north Conservative Association, serving as its President. Sarah Adelaide Ainsworth was born on Christmas Day in 1895. She was educated at the Orme Girls' School in Newcastle and during the First World War served as a VAD nurse. She married a farmer, William Ward, in 1921 and they had one child. They farmed at Walsall Wood. She was elected for Cannock in the 1931 General Election and was defeated in 1935. During the Second World War she served from 1940 to 1943 as a Commander in the ATS serving with the Royal Artillery. After the war she was appointed to the staff of the Ministry of Labour where she dealt with welfare in industry. Her attempts to return to national politics were unsuccessful. Adopted for Lichfield and Tamworth, she was defeated in February 1950, polling 24,681 votes but losing by 4,518. Sensing that she was unlikely to take the seat even though she was the local candidate, she turned her attention to Birmingham Perry Bar. In October 1951 she again went down to defeat in a straight fight and thereafter she concentrated on local politics. She had been elected to the Staffordshire County Council in 1950 and from 1956 until 1964 she chaired the Welfare Services Committee. She was awarded an OBE in 1952 and made a CBE in 1961. She remained on the County Council until her death on 9 April 1969.